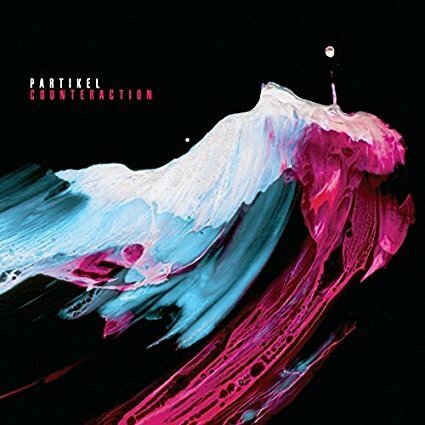 Over the course of two previous Whirlwind releases and accompanying tour campaigns, Partikel have established them as one of the most pro-active and forward thinking units on the UK scene today, intent on going the extra mile to stand out from the crowd. Their first record had already staked out a claim at the leading edge of modern jazz, where it interacts with the kind of mathematical rhythmic subdivisions and complex harmony found in fusion and post-rock - the second saw them add a string section and embark on an ambitious touring schedule that saw the band’s sound developing to new heights, aided by violinist Benet Mclean and an array of digital harmonisers, pedals and programming to expand the palette yet further. This album sees Mclean still on board, and adds guitarist Law, already renowned for his own adventures in this kind of dense, proggy music. ‘Land And Sea’ opens with a stately saxophone melody over ambient electronic soundscapes that seem to promise a cinematic, evocative piece, but it quickly mutates into a dizzying, ever-shifting succession of different moods, from furious unison ‘guess the time signature’ passages to harsh sax skronking to heavy-metal guitar licks and back again. Ford excels on drums throughout - bold, crisp, creative, in total command of a seemingly endless range of techniques. ‘Scenes and Sounds is similarly frenetic, shifting restlessly from section to section; the most engaging moments are when the band breaks down to a simple trio, allowing Eagles or Law respectively to join Ford and build up a head of steam together around Luthert’s unflappably solid bass. ‘Lanterns’ offers some relief in a quieter, more consistent composition with a single melody line that’s fairly easy to grasp before shifting suddenly into a tumult of toms, crash cymbals and distorted guitar. ‘Counteraction’ is as complex as the name suggests, with long solos from Mclean and Eagles that show off their speed and fluidity, backed by plenty more crash cymbals. ‘Moving Fields’ is a dizzying whirl of special effects and jagged unisons; ‘Blood Of The Pharoah’ moves from an extended cello solo into an electronic soundscape full of alternating melodrama and abstraction; ‘Bolden Days’ has an unexpectedly zesty blend of mutated New Orleans drumming and Asian bamboo flute pentatonics. While there’s no ignoring the boldness of the musical vision and the superlative musical skills of all involved, many may find this album an exhausting listen due to the sheer number and density of the gymnastic ideas involved in every composition. Despite the dizzying onrush of musical information over the course of the hour-long running time, there’s a noticeable absence of memorable melody, which might have offered the listener some respite. Partikel wear their intention to be exceptional on their sleeves, but the exceptional is not always the easiest to love. The live spectacle, however, should be utterly exhilarating.